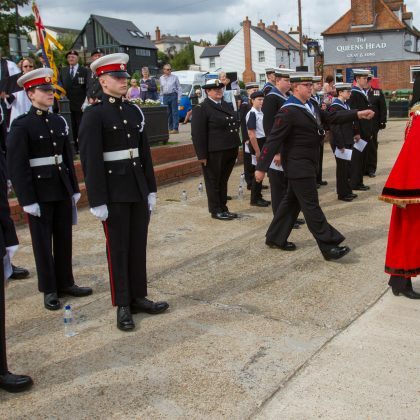 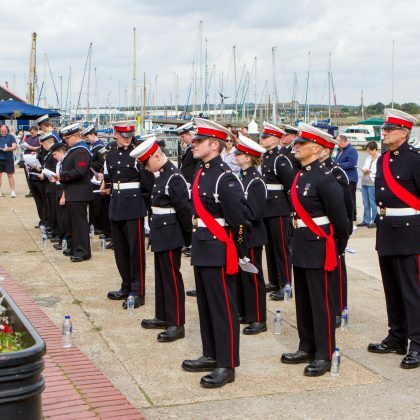 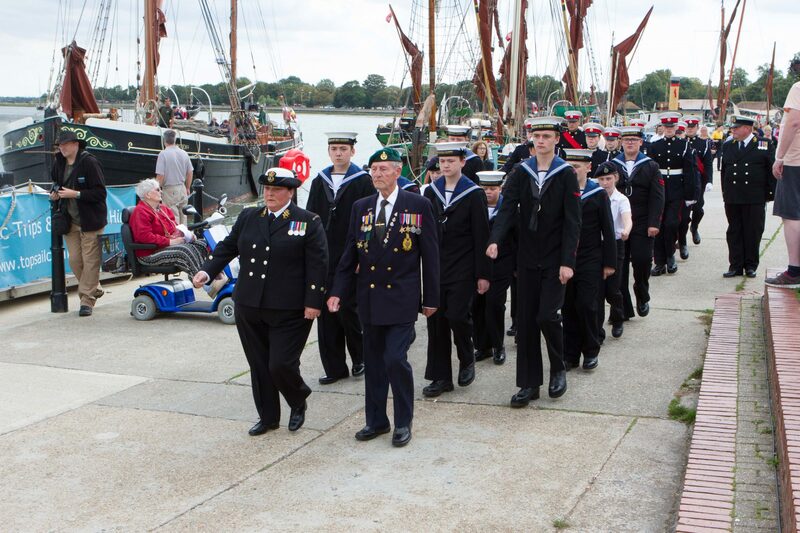 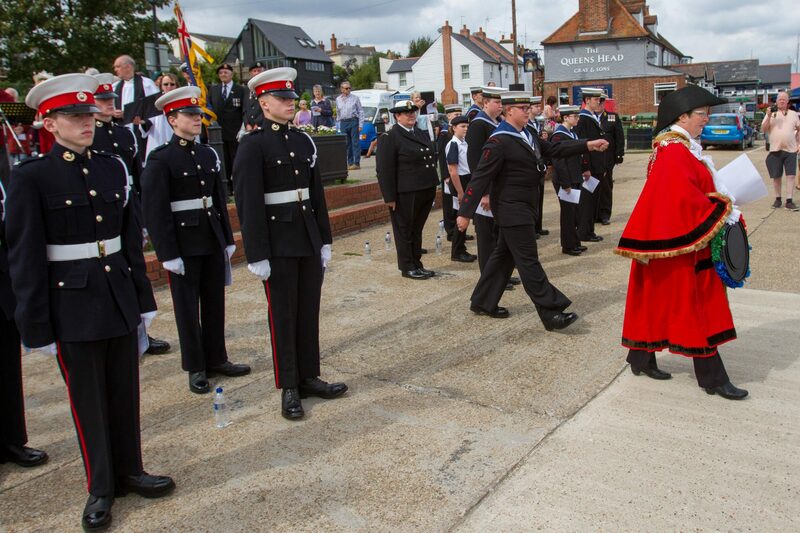 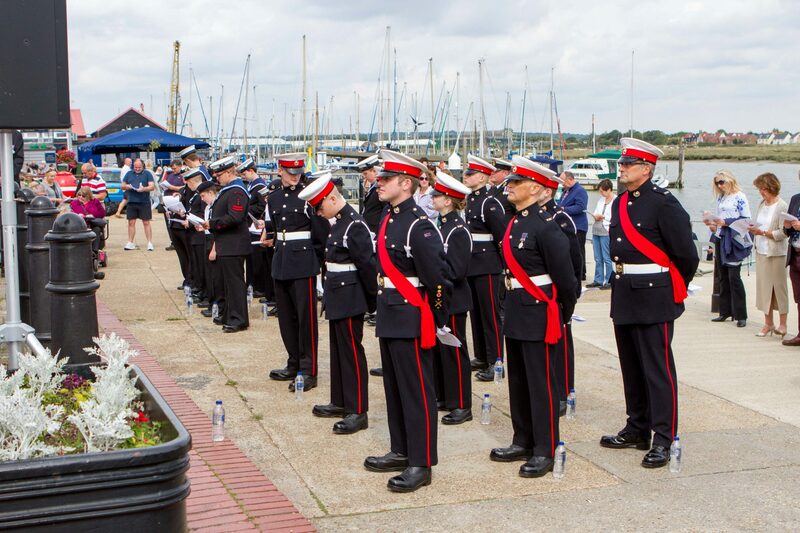 On Sunday, 3rd September 2017, local residents gathered to remember the brave men and women who kept our “Island Nation” afloat during both World Wars in a special service of Commemoration on the Quay. 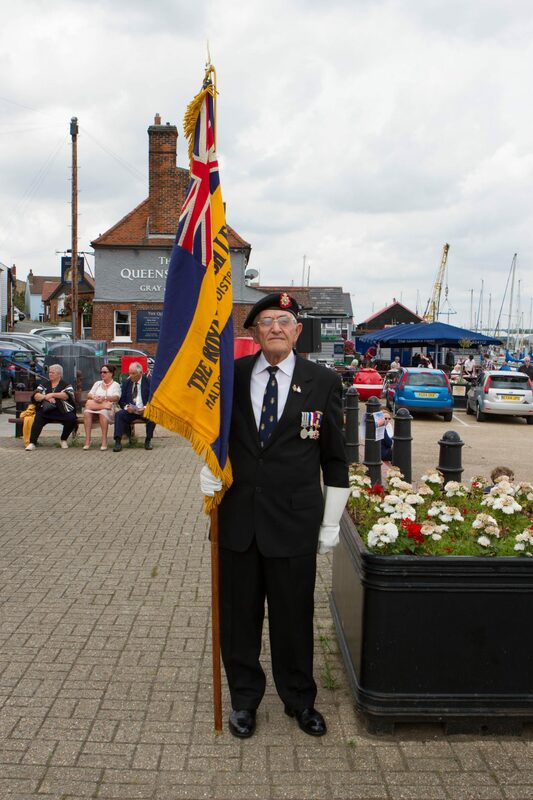 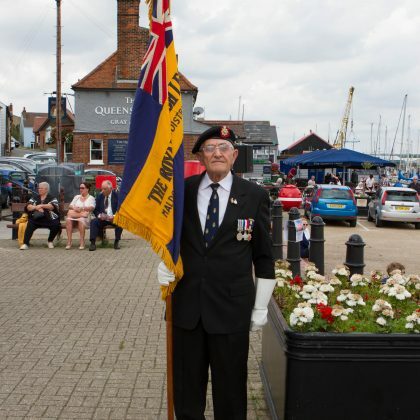 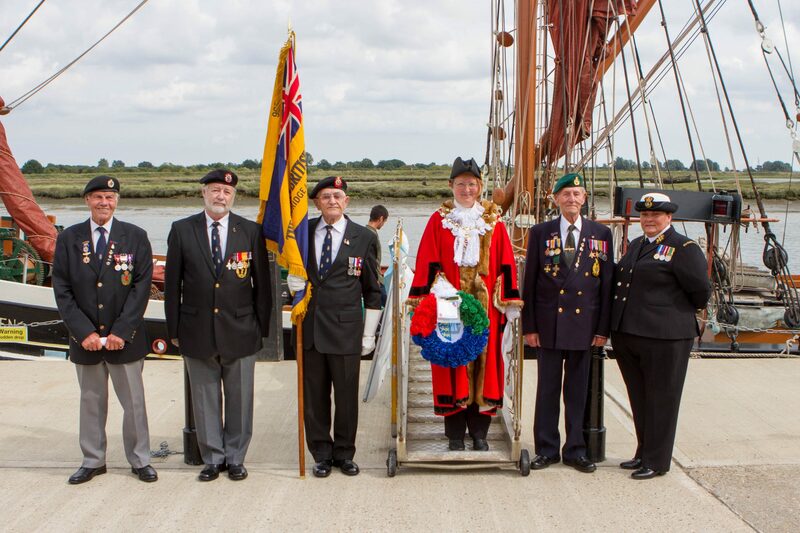 Maldon is an appropriate place to mark this important date, as it is a maritime town, and its gateway to the sea, the River Blackwater, is a major feature of its history. 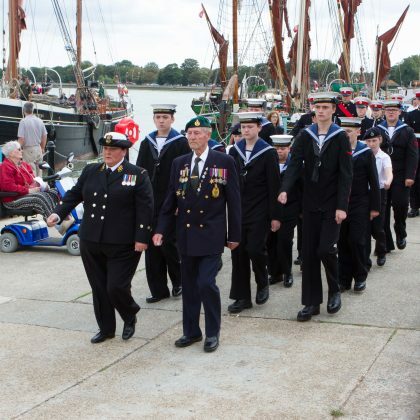 From Roman galleys to Thames Sailing Barges, generations of sailors have relied on the river for their livelihood, and in wartime, we depended on civilian cargo ships to import our food and raw materials, as well as to transport local men in the armed forces overseas. 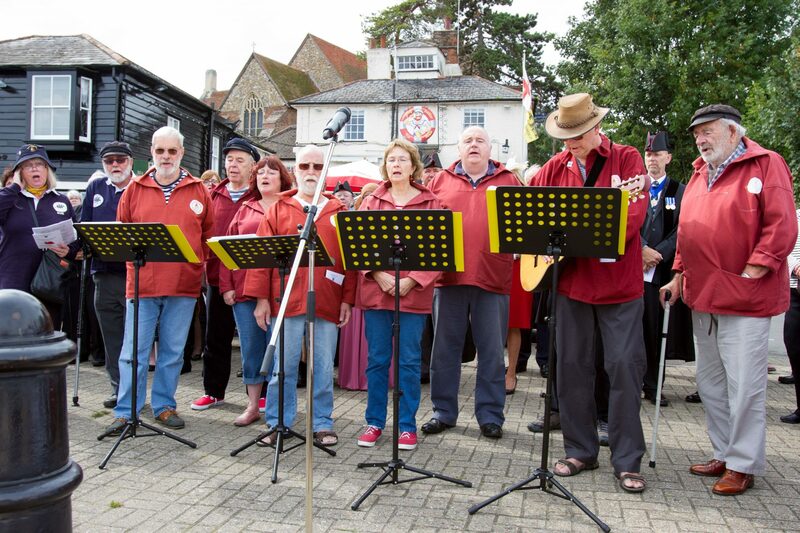 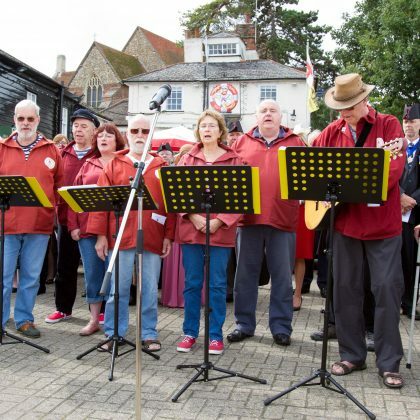 In a fitting tribute, the Red Ensign was raised on the Hydrogen, whilst the Shanty Singers sung The Red Duster, a song especially composed by one of their members to mark the occasion. 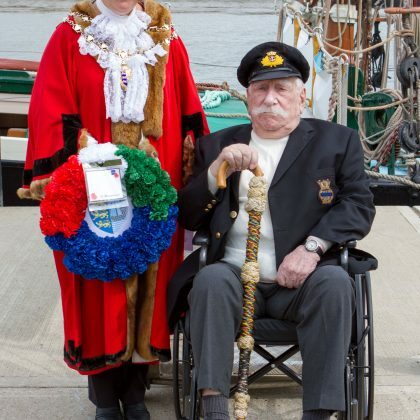 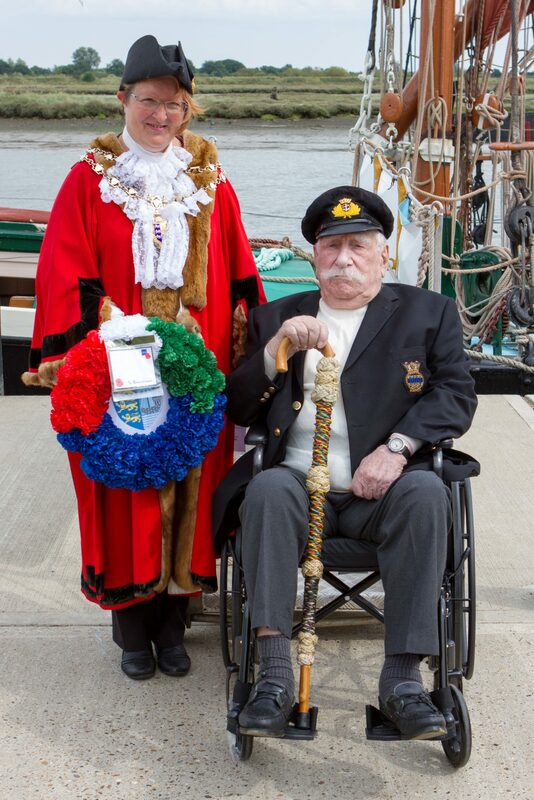 One of Maldon’s most famous residents, Dr Thomas Plume took a keen interest in maritime matters. 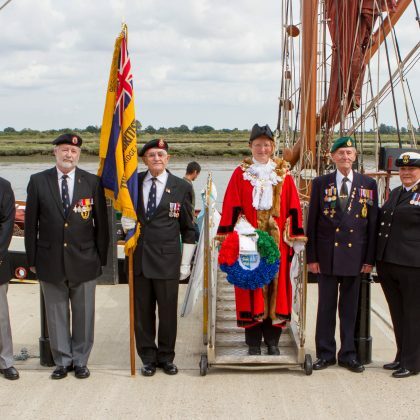 Within his extensive library are copies of a book by Sir Francis Drake, called “The World Encompassed” (1628) and John Davis’s “The Seaman’s Secrets” (1633).